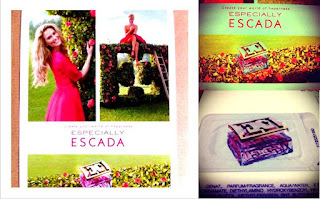 The fragrance requested from Escada. It took a while. But hey, i was just waiting around anyways. The sample came affixed on a very pretty postcard, sample size for 1 use. Great for travel a small, thin packaging that would fit in a purse/wallet easily - See bottom right of photo on right. You never know when there might be emergencies you need to freshen up last minute for a date! Postage is international so you can even send it to someone overseas, just to say hi or make their day. Everyone loves a surprise and for free too!